Everyone who's been there loves Albufeira. It's one of Portugal's favourite holiday destinations, and with good reason. The picturesque old fishing village has grown into a thriving, friendly place. It retains its picture postcard charm, but has still got plenty to offer today's holidaymaker. 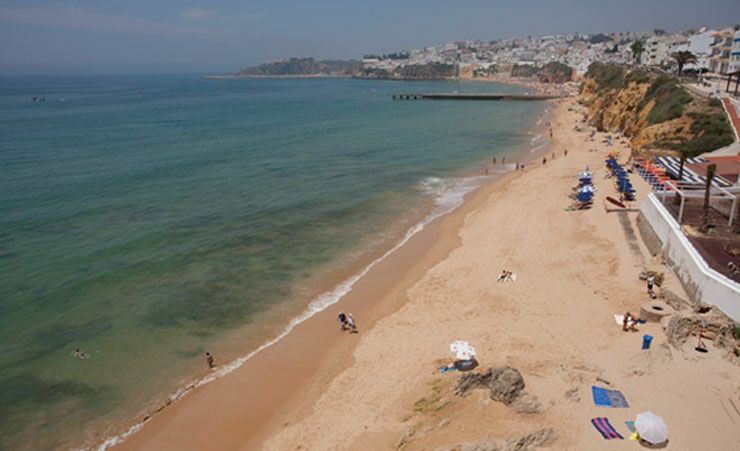 Not surprisingly, people who love going to Albufeira love staying at the Inatel Albufeira. 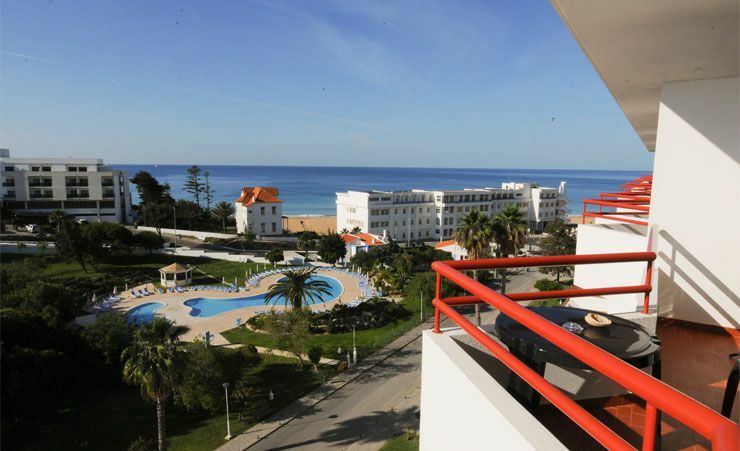 This wonderfully friendly hotel is located right in the heart of Albufeira making it the perfect place for holidaymakers to make the most of the gateway to the Algarve. 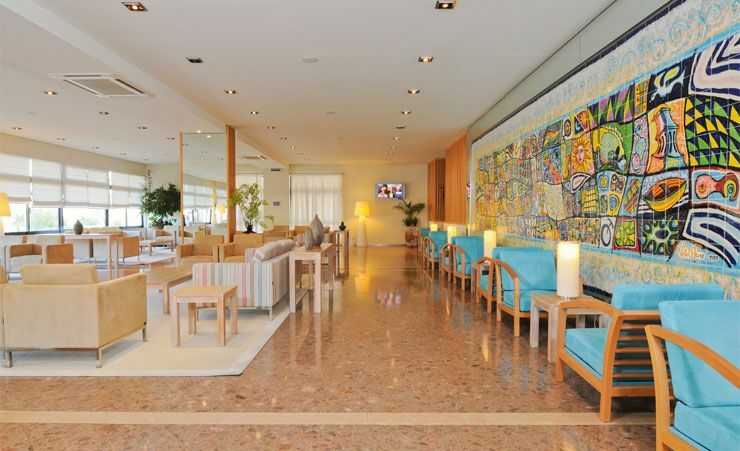 There's a lovely welcoming feel to the Inatel Albufeira; you'll experience it just as soon as you step into the bright, modern reception area. Guests don't just pass through; with free Wi-Fi on offer, it's a great place to spend a few minutes just taking it easy, perhaps rattling off a quick email and enjoying the laidback holiday experience. In fact, everything about this hotel is designed with your relaxation firmly in mind. 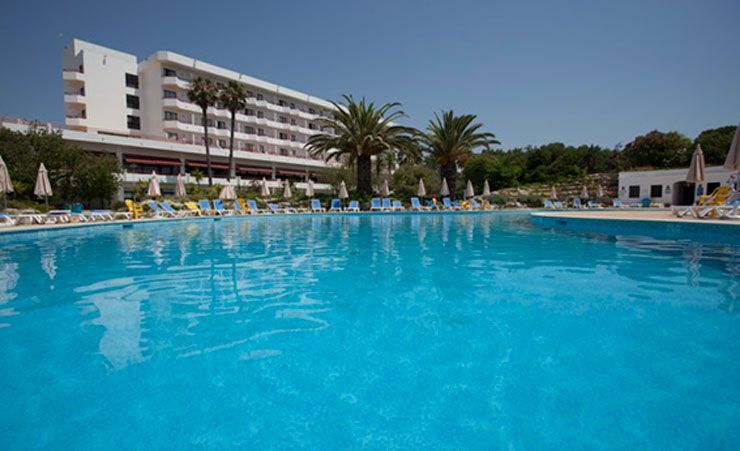 Whether you choose the fabulous indoor sports complex, or the large, outdoor swimming pool; whether you take a leisurely trip out into Albufeira; or enjoy a cool drink at one of the hotel's three bars, you can relax your way. This is your holiday, and the staff at the Inatel Albufeira want you to make the most of it. There's certainly no shortage of ways to pack your day. We mentioned sports – you can enjoy billiards, snooker, football, volleyball and tennis, all within the hotel and grounds. The main pool and children's pool are both excellent too. You'll certainly be able to relax in your room. 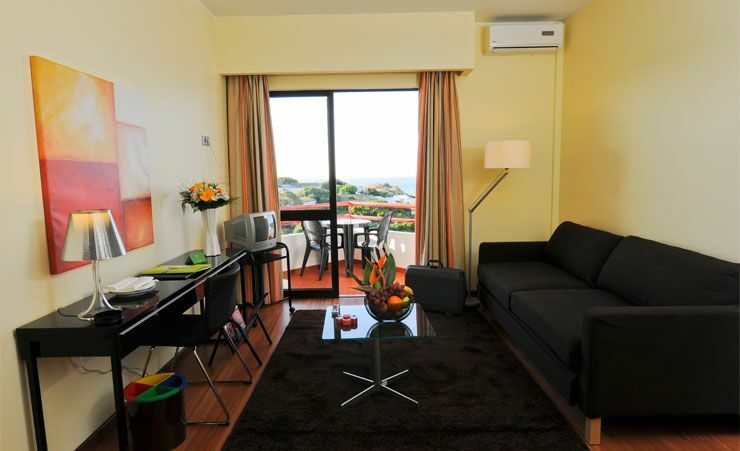 All rooms at the Inatel Albufeira are comfortable en suites and each has a balcony. They come equipped with TV, telephone, hairdryer and mini bar. Safes are also available at a fee. Rooms are light, bright and airy – and in common with the rest of the hotel, cheery. This is a fun place to stay, and a great place for you to experience everything Albufeira has to offer. The Inatel Albufeira is more than a great base. Like Albufeira, it gives holidaymakers just what they want – a bright, happy holiday experience, with all that Algarve charm. Please note: Due to the surrounding area the hotel may not be suitable for those with mobility difficulties. 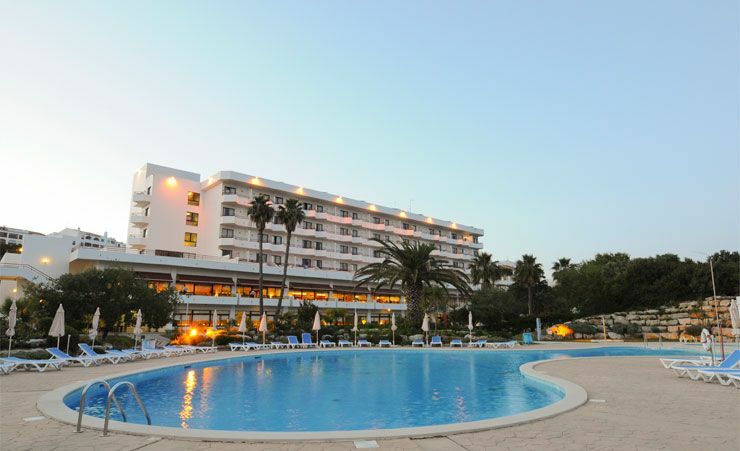 Find out more about your accommodation and the in room facilities at the Inatel Albufeira . These rooms feature private balconies with panoramic views. Feature Terracotta-tiled floors and simple furnishings, as well as a work desk, minibar and cable tv. 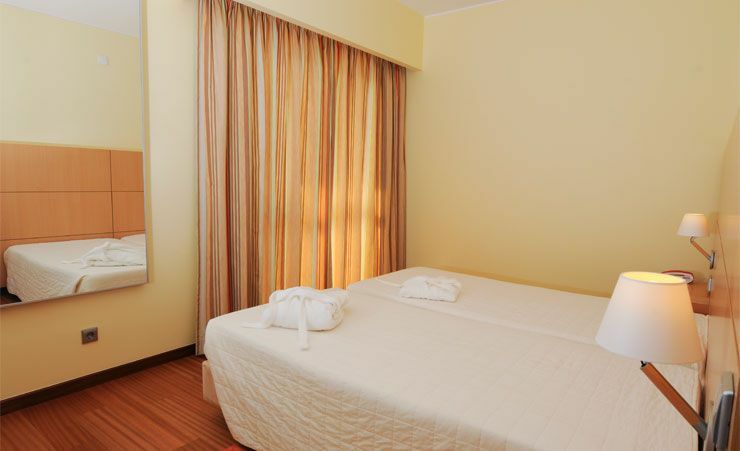 These rooms feature all the amenities of the Twin Room with the added bonus of a beautiful sea view. Nice large hotel. Not busy for time of year. Beautiful setting overlooking swimming pool, garden and ocean. Staff were professional and friendly. The Inatel is well placed close to the beach,with a bus stop outside. The Staff are friendly +helpful and the Hotel is very clean. Although the food is mostly Portuguese there is a good selection to suit most people. This Hotel is very good value for money but would not suit families or people looking for lots of entertainment. Everything well planned and everyone professional. The hotel is nice and peaceful, the staff are excellent. More a 4 star plus hotel than a 3 star plus. Well organised and a pleasure to deal with Mercury. Price and good service from Mercury. Lovely hotel in an excellent position with a lovely pool. Lovely rooms very clean. Would definitely travel with you again as very good service and information given. Thank you Mercury Holidays, and the friends who persuaded us to go! Overall very pleased with hotel, but have to say the food fell short of what we would expect from a hotel of this size,especally the evening meals. Also felt that rooms should have tea/coffee facilities. The weeks we were there, the entertainment catered exclusively for French customers. Inatel is a good hotel with excellent staff, and kept very clean and tidy. This is the third time that we have stayed at the Inatel and we love it. Our sea view room had a pleasant balcony with a great view. The staff are ever helpful and the hotel and grounds are kept scrupulously clean. Portuguese food in the restaurant is plentiful and excellent. Thank you Mercury and Inatel. A very nice hotel and service. May be an indoor pool will make it more attractive for the winter customers. Hotel lovely,clean and comfortable,staff friendly and helpfull. Only downside, the food could be better and needs to be much hotter. Food was good. Drinks prices were very reasonable. A good hotel, all staff were very helpful. The hotel is in a fantastic place near the beach and 10mins into the old town. All in all we had a month out there and had a fantastic time the staff and the manager of the hotel could not have done more and would like to take this opportunity to say Thank you. The hotel was in a good spot, a short walk to the old town. The buses were regular and very cheap. The staff were very pleasant. We would love to come back. good hotel set in good location.clean rooms. good reception, clean bedding changed reg. good food lots of fish on menu.enjoyed our holiday weather not good. We were on the top floor. Bathroom would benefit from an extraction fan. Excellent hotel, out 3rd visit! Good location. Rooms were large and were basic rather than luxurious but adequate. The staff were very helpful, from the receptionists, right down to the room maids. So good we want to return next Spring. Although I rated food as fair,the fish & soup excellent & there was always food which was acceptable. Considering the cost of the holiday,it was certainly value for the price paid. The hotel was superb in every way and we would thoroughly recommend anyone to stay there. It is very quiet and pleasant and would not suit a person looking for hotel entertainment, but for us it was perfect. The food was superb. the cleanliness and service also. This hotel was perfect for us. We wanted a very quiet holiday and the Inatel was superb. The food was excellent, standards of care and cleanliness excellent and the staff were unobtrusive and thoroughly professional. A beautiful hotel, very clean, excellent service from friendly and helpful staff, food was amazing, several courses to choose from, presentation faultless, a pleasure to stay there,and highly reccomended.